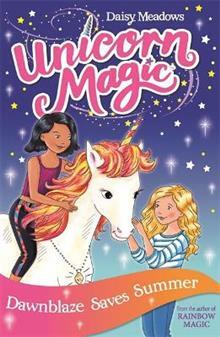 A secret world full of magic, unicorns and friendship! The brand-new series from the bestselling Daisy Meadows, author of RAINBOW MAGIC and MAGIC ANIMAL FRIENDS, and the most-borrowed children's author in UK libraries. Join best friends Lucy and Aisha as they discover a secret world full of unicorns, magic and friendship! Journey with them to the beautiful kingdom of Unicorn Valley, where the beautiful Queen Aurora rules kindly over the unicorns and all other magical creatures. But when the Dark Unicorn Selena tries to steal the throne, good magic everywhere is under threat. Can the girls and their new unicorn friends find a way to save the kingdom?